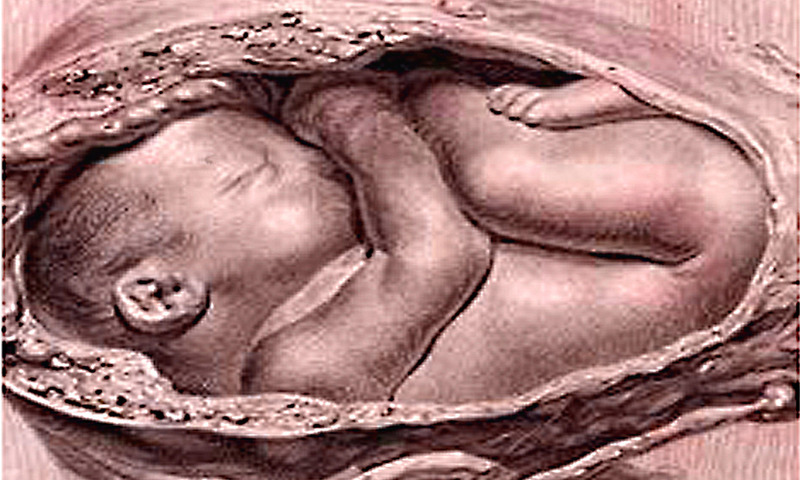 External Cephalic Version involves applying pressure to a woman’s abdomen to manipulate the fetus and turn it from breech to vertex presentation, which increases the likelihood of a vaginal delivery. Interest in the technique has increased in light of medicine’s movement to decrease caesarean deliveries, which particularly in North America has been standard procedure for breech presentations. Spontaneous version of a breech presentation usually occurs by 36 weeks and is less likely after that time. How effective is ECV in preventing non-cephalic birth? • The success rate of ECV is approximately 50%. • A successful ECV reduces the chance of caesarean section. • Few babies revert to breech after successful ECV. • After an unsuccessful ECV attempt at 36 weeks of gestation or later, only a few babies presenting by the breech will spontaneously turn to cephalic presentation. There is no general consensus on the eligibility for, or contraindications to, ECV. ECV after one caesarean delivery appears to have no greater risk than with an unscarred uterus. Although case reports of placental abruption and large feto-maternal haemorrhage exist, complications associated with ECV are very rare. In a 2015 Cochrane systematic review, Hofmeyr et al.reported no signiﬁcant differences in Apgar scores, neonatal admission or perinatal death according to whether ECV had been performed or not. A number of large consecutive series have reported no fetal deaths attributable to the procedure. If, after ECV, the breech persists, the best mode of delivery should depend on expertise of the healthcare provider. • Royal College of Obstetricians and Gynaecologists. Management of Breech Presentation. Green-top Guideline No. 20b. London: RCOG; 2017. • Tong Leung VK, Suen SS, Singh Sahota D, Lau TK, Yeung Leung T. External cephalic version does not increase the risk of intra-uterine death: a 17-year experience and literature review. J Matern Fetal Neonatal Med 2012;25:1774–8. • Leung TY, Lau TK. Prediction of outcome of external cephalic version for breech presentation at term. Fetal Matern Med Rev 2005;16:245–62. • Burgos J, Cobos P, Rodrıguez L, Osuna C, Centeno MM, , et al. Is external cephalic version at term contraindicated in previous caesarean section? A prospective comparative cohort study BJOG 2014;121:230–5; discussion 235.